Are you into non-profit business in the US or UK? In this article, we are going to tell you why US Virtual phone number is necessary. It is not hidden how cloud computing has taken over many industries. With all main industries like healthcare, IT, hospitality, travel, etc., the Non-profit industry is also on lead. Not only businesses but also residential VoIP connections are increasing. As per a report generated by Statista, there was a hike of 76.6 percent in residential VoIP usage in 2018 since the year 2010. We all know the general benefits of VoIP. The VoIP market is predicted to reach 204.8 billion US dollars by the year 2020. But in this article, we are going to learn what are the benefits of using VoIP and US phone numbers, particularly for non-profits. 1. Have different branches? No worries. There are many non-profit organizations who have multiple branches in multiple cities. Sometimes it becomes really annoying and hectic to connect with employees of other locations in real time. There come certain situations where an employee from one location has to connect with other from different location to solve a query on an urgent basis. In such situations, traditional phone systems might not be feasible. Those who work on the field can get to receive the important calls anywhere. All you have to do is put the three digits extension and you are sorted. 2. Security layers. There are some reputed VoIP companies like CallHippo who are specialist in this industry. We understand and reduce the risk with telephony. 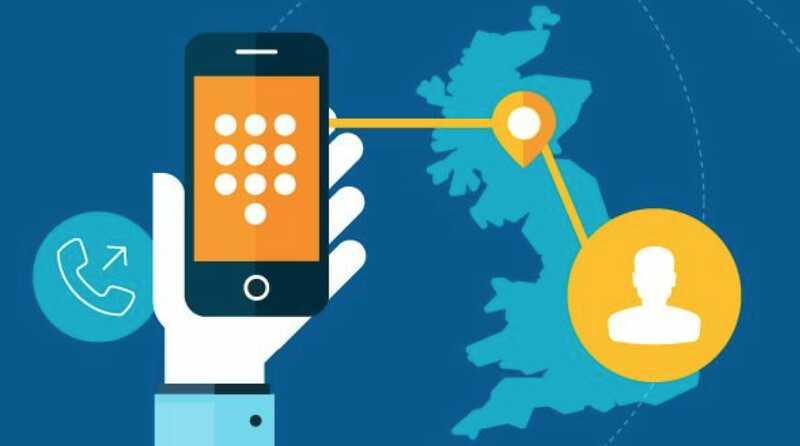 The UK virtual phone number uses automated tools, checks, and balances. These are the security layers necessary for avoiding and stopping someone to gain access and make expensive calls from your phone system. Make sure you associate with a reliable hosted PBX provider. 3. Cost-efficient. VoIP systems can increase cost efficiency. A nonprofit organization can decrease the cost of telephony by 50 to 60 percent. Since the VoIP phone system is internet based, no traditional calling charges are applicable and the charges on long distance calls are eliminated. In traditional phone systems, users need to upgrade the software regularly and pay a maintenance fee. This is not the case there with VoIP. As it is internet based, the updates are automatically pushed via the internet and no extra charges are needed. 4. Benefits for volunteers. We all know what volunteers do. They manage all the internal as well as external tasks of a nonprofit organization. The primary objective of a volunteer is to arrange fundraisers, manage calls, organize events, etc. Since the nonprofit organizations are short of money, it is not economically feasible for them to provide all volunteers with separate phones. At the same time, it is not possible to use their personal phone number as it may interrupt their personal life. In such cases, nonprofit organizations can simply take VoIP services and offer separate extensions to all volunteers. By doing so, the caller can connect any volunteer as per requirement. In certain circumstances where volunteers can get changed, you can assign an existing extension to New volunteers by simply changing the forwarding number. 5. Extensions for information. There are special extensions that are played for those who want only information. The information can be about events, fund raising, organization information, etc. All you have to do is record all the information in a decent voice. Play it with a background pleasant music. You can share date and timing of events, venue of events, ticket charges, etc. 6. Scalability. There are certain plans available at CallHippo. different plans of voip have different features. Nonprofits can choose plans as per their needs. There are scalable plans available on hosted VoIP systems. 7. Already having a VoIP service? If you are already using VoIP service from any service provider, you can now switch it to CallHippo. Being in a nonprofit business, it might be difficult for you to change the entire virtual numbers. As all existing clients, donors, fundraisers have the number, it becomes a hectic task to inform all about the changed number. Well, we have a solution for this problem. You can benefit from better services when you port your number to CallHippo. We provide excellent services and bring up amazing VoIP features for you. It is important for nonprofit organizations to adopt the technology. We understand that nonprofits avoid using expensive technologies. But VoIP systems are cost efficient with multiple amazing features.